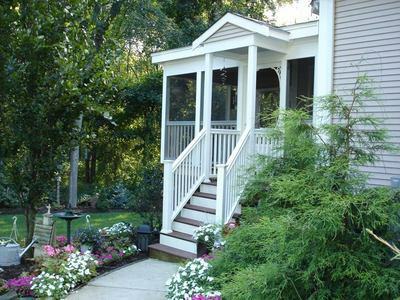 In our last three posts, we’ve discussed deck and porch designs for contemporary, rustic and traditional homes. To complete the discussion, let’s examine building an outdoor space for smaller homes such as ‘bungalows’ or ‘cottages’. Often these two words are used to characterize any modest, 20th century house built with the American middle-class in mind. As broad architectural descriptions, images of these structures might convey different things to different people; yet the labels ‘bungalow or cottage’ always express simplicity, efficiency and a certain ‘storybook’ charm. St. Louis is filled with remarkable older homes and as a St. Louis contractor, Archadeck frequently works with homeowners who want to build a modern-day outdoor space that adapts to a 75 – 100 year old bungalow or cottage. An experienced contractor can squeeze tasteful design features into a little bit of space, true-to-style. So for those of you who prefer ‘small, cozy and historic’ to ‘big, fancy and brand new,’ you’ll feel right at home with these tips from Archadeck. 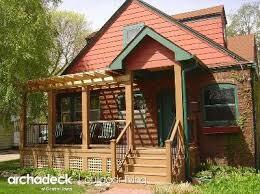 For our purposes here, smaller homes can often be described as a bungalow or cottage style. 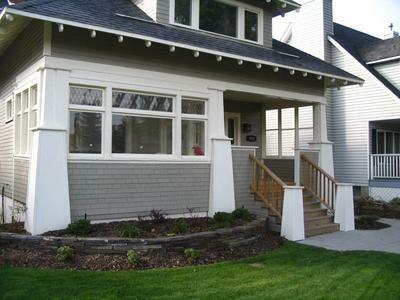 Hallmark signs of a bungalow are tied to Craftsman construction with a vintage or retro motif. Cottages, on the other hand, are often associated with a beautiful garden in a ‘romantic’, serene setting or a weekend ‘country’ house. These styles are being seen in brand new housing developments too, modified for today’s market. Even though they’re different, cottages and bungalows are two of America’s favorite historic styles. And being aware of your home’s original architecture will help you and your contractor develop a great design plan to complement any house, no matter the age. Does your home resemble a cottage or bungalow? Well if it does and you’re a St. Louis homeowner who’s in-love with your charming, historic home but are looking for ways to update your outdoor space, please give Archadeck a try. When it comes to outdoor living, we provide small space solutions — and big ones too! We serve all of the metropolitan St. Louis area including historic districts throughout the city and county including Webster Groves, Kirkwood, Glendale, Richmond Heights, St. Louis Hills and more. You can head on over to our website, Archadeck of West County and St. Charles County, at west-county.archadeck.com to send us an email or submit our online inquiry form. But if communicating on the internet isn’t your cup of tea, just give us a call anytime, 636.227.0800! To learn more regarding the Archadeck brand, visit ‘About Us’ on this blog for highlights. If you live elsewhere, just go to archadeck.com! 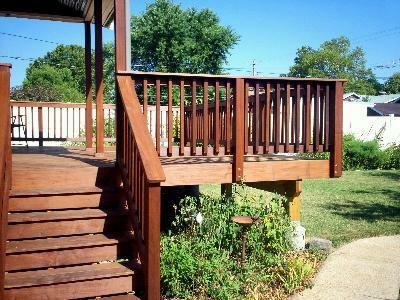 « What makes a deck or porch design fit a traditional house?